Do you ever crave a crunchy and salty snack but don’t want to run to the store? 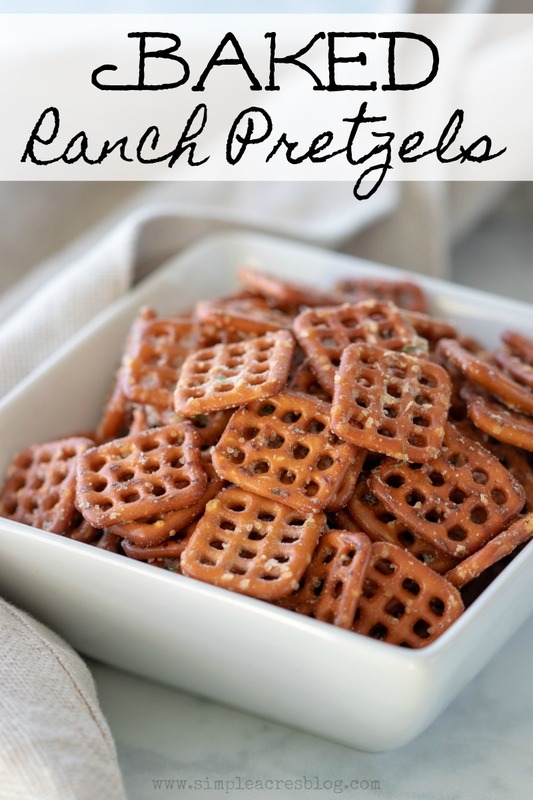 These Baked Ranch Pretzels are simple, delicious and take minutes to whip up in the kitchen. After you make these you won’t feel the need to buy store bought snacks! All you need is three ingredients and 30 minutes to make these baked flavored pretzels. I personally loved these and so did my kids! They made for perfect snacks to throw in baggies to take for the kids to snack on at weekend sports games. 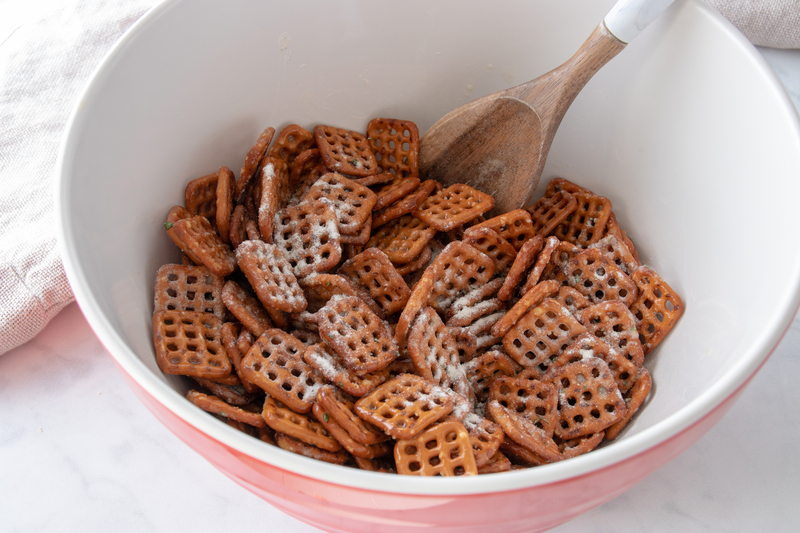 You could add nuts and chex cereal to make your own ranch flavored chex mix as well with this recipe. Melt your butter on the stove in a pan or in the microwave for 15-30 seconds. Place pretzels in a bowl, drizzle butter over pretzels and add seasoning and toss. Bake the coated pretzels for 30 minutes total, shifting them on the lined baking sheet every 15 minutes for an even crisp. 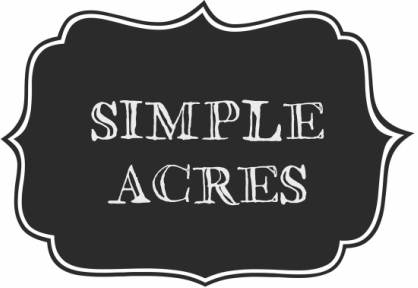 The perfect crunchy and slightly salty snack in minutes.